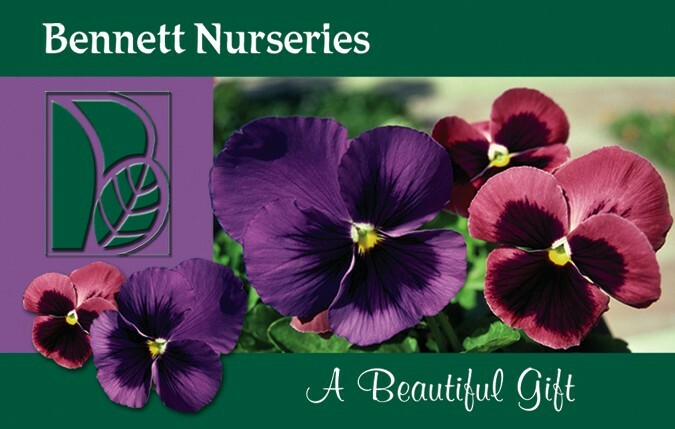 We offer gift cards that can be used to purchase merchandise at our nursery. Any amount can be purchased, either in our store or over the phone. If you want us to write a note on the card, we will be glad to do so.